Product #55608 | SKU NP.KBD1A.01Q-A05 | 0.0 (no ratings yet) Thanks for your rating! With the perfect keyboard, a bond between player and peripheral is formed. Maybe it’s the N-key rollover, the 16.8M RGB, the tactility…Whatever it may be, in your hands it is more - a path that leads to victory. Relish in the metallic touch of the anodized aluminum faceplate and the comfort of the detachable magnetic wrist rest or make use of the easily accessible media control to avoid interrupting your game sessions. 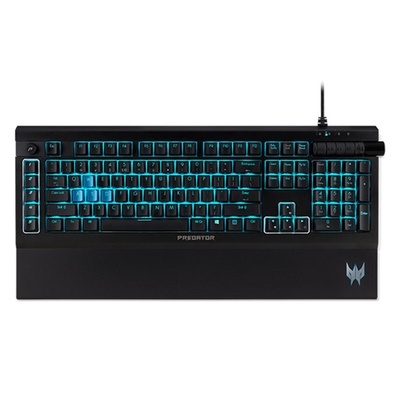 Predator Aethon 500, designed for Gamers.